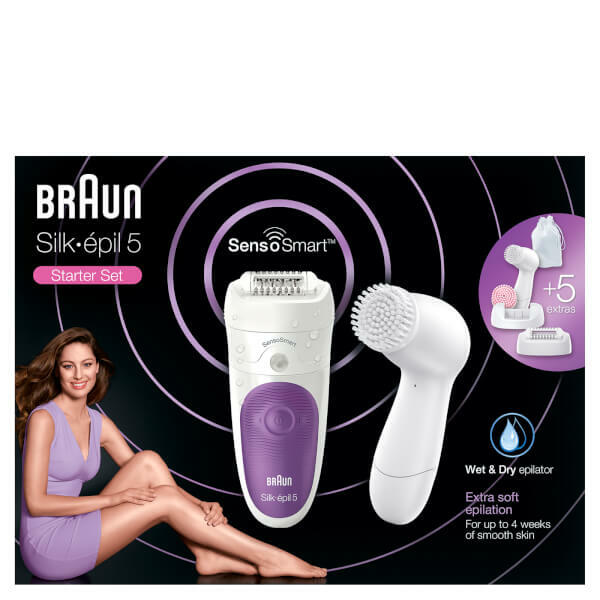 The Braun Silk-épil 5 5/870 SensoSmart Epilator works to remove the short hairs that waxing cannot reach, for long-lasting smoothness. 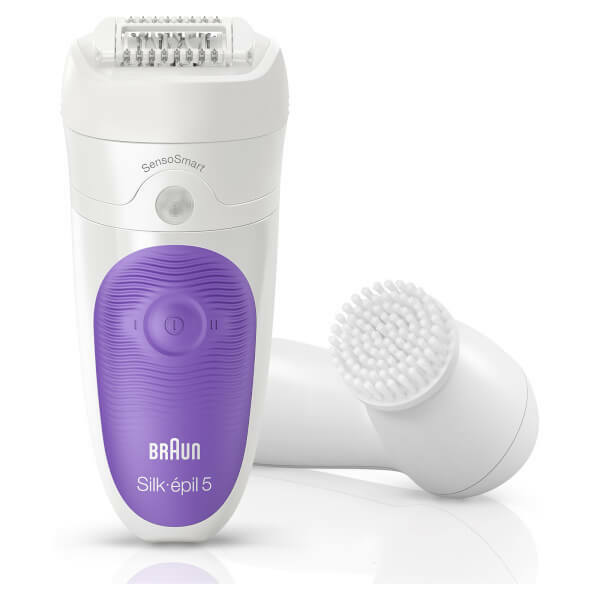 The innovative SensoSmart™ technology guides your epilation so you use the right pressure, removing more hairs in one stroke. 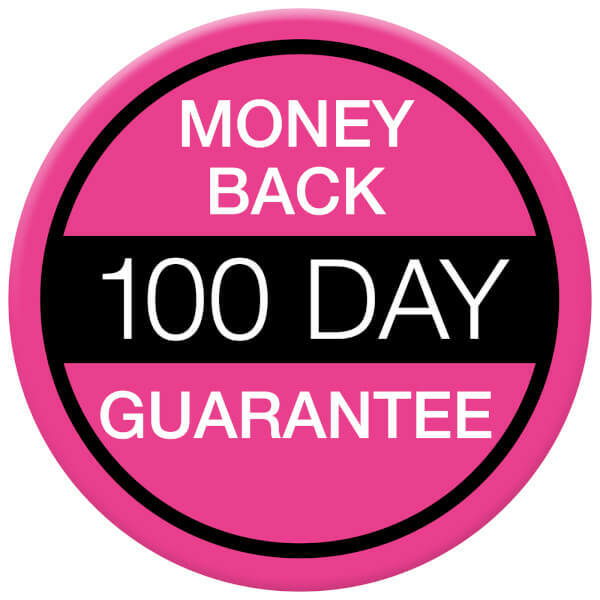 The cordless epilator can be used wet or dry for convenient hair removal. 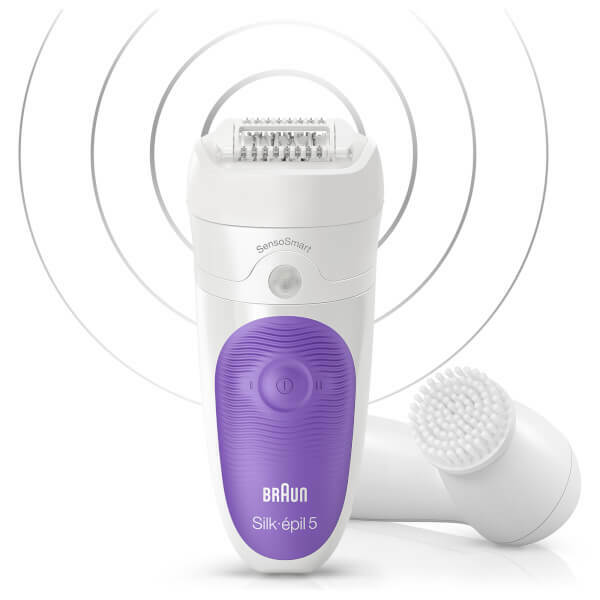 Complete with five extras, including massage rollers, skin contact cap, facial cleansing brush and travel pouch.